The Browns are up big on the Ravens early. I didn't see that coming. They were leading 20-2 the last time I looked. Garoppolo has already thrown 3 Td passes and the Pats are manhandling Miami. At this rate, Jimmy G will have more TD passes than the 2015 Vikings before Brady comes back. Oh no! I jinxed Jimmy. It's now official, the #Patriots Jimmy Garoppolo has suffered a broken collarbone. After less than two full games in 2016, Mike Wallace already has more TD catches than he had as a Viking. Great game with Titans and Lions, but the replay booth missed a HUGE fumble on Stafford getting sacked, they thought he was down but he wasn't and it never got reviewed because it is under 2 minutes. Last edited by Jordysghost on Sun Sep 18, 2016 3:20 pm, edited 1 time in total. Which game did he call? Suprised that bengals didnt challenge that TD. Also, bad non reversal at the end. 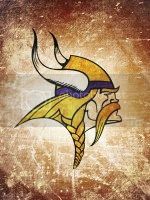 I just like that the "crappy" titans team thay the vikings beat went into detroit and beat them. While the "awesome" jaguars team that the packers barely squeeked by is getting stomped by the lowly chargers. Mothman wrote: After less than two full games in 2016, Mike Wallace already has more TD catches than he had as a Viking. Ravens have a better QB that can throw the ball accurate the the field. I'm not surprised. at all. FullWood wrote: Ravens have a better QB that can throw the ball accurate the the field. I'm not surprised. at all. Grashopa wrote: Suprised that bengals didnt challenge that TD. Also, bad non reversal at the end. Its week 2, early NFL is crazy, besides, transitive property doesn't work in the NFL. But keep in mind, it was 112 degrees in week 1. Jordysghost wrote: Its week 2, early NFL is crazy, besides, transitive property doesn't work in the NFL. Youve been using it all week... but it doesnt matter. All the analysts and 80% of the country have picked the packers to win. So we will see what happens. Side note. If this is "our year" (same goes for the packers) its going to be a tough one. A lot of very good dominate teams in both conferences. Going to be a tough road for both super bowl teams this year. Hes better than anything we have had since Favre or Culpepper.